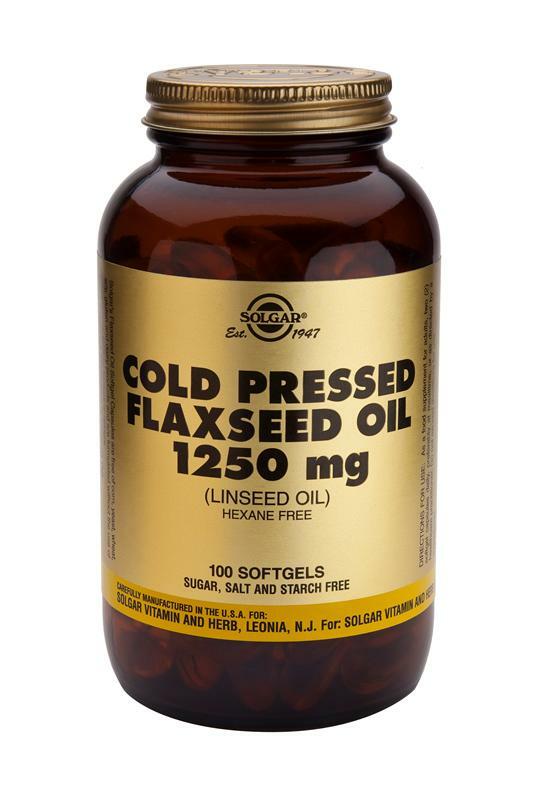 Solgar Flaxseed Oil 1250mg Softgels - (Linseed Oil) is a source of alpha-linolenic acid. That and related chemicals in flaxseed oil seem to decrease inflammation. As a food supplement for adults, two (2) softgel capsules daily, preferably at mealtime, or as directed by a healthcare practitioner. Softgel capsule shell: gelatin, glycerine. People try flaxseed oil for many different conditions, including rheumatoid arthritis and high cholesterol.